Create a lifetime of memories in this beautifully updated property with custom paint throughout as well as gorgeous wood floors in entry, dining, study, kitchen, living room & master bedroom. 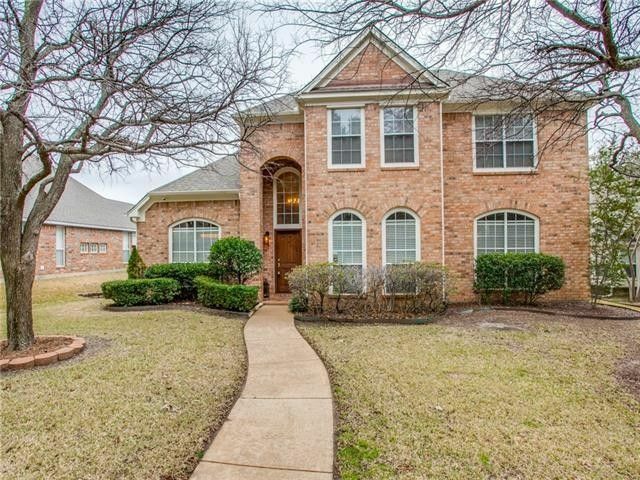 Spacious living room with wall of windows is open to this inviting kitchen which includes granite countertops, gas cook-top, island, & breakfast area overlooking desirable backyard with covered patio & mature trees for easy entertaining. Striking master bath includes separate vanities, jetted tub and new tiled shower with frameless glass enclosure. Complete with new roof, fence & hot water heater 2017, dishwasher 2018 & downstairs HVAC 2016. Minutes from Breckinridge Park, biking trails, swimming pool & playground. Directions: From 75 and George Bush go East to Renner exit, East on Renner, Right on NorthStar, Left Beck, Left on Taylor, home on the right.